Some years ago, my family travelled to Buchans, Newfoundland for a blended family reunion. I was a teenager with attitude, and expected to be bored out of my mind. Nothing could have been further from the truth. 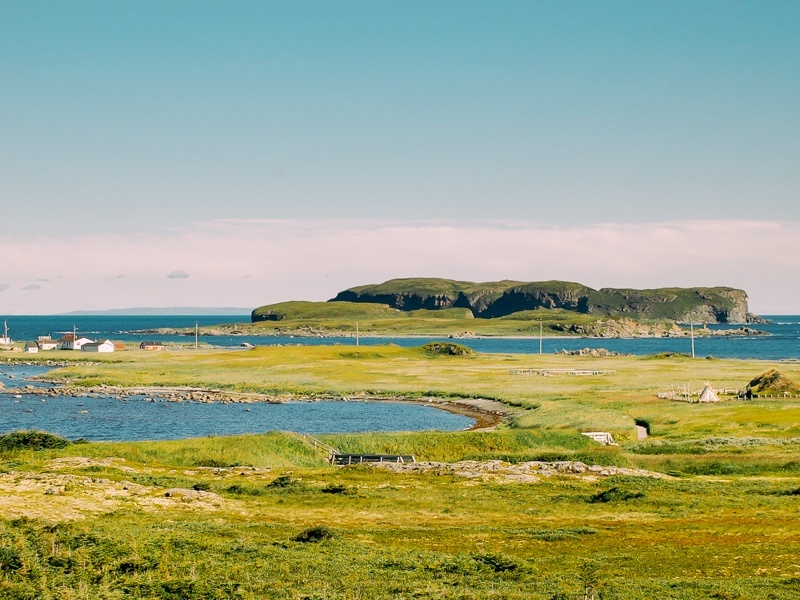 Travelling by van allowed us to stop along the way often to sample the best fish and chips imaginable; meet children selling bakeapple berries roadside, or be delighted by glaciers and clusters of bright houses in Twillingate. In fact, that teenage girl’s favourite places still fascinate today. 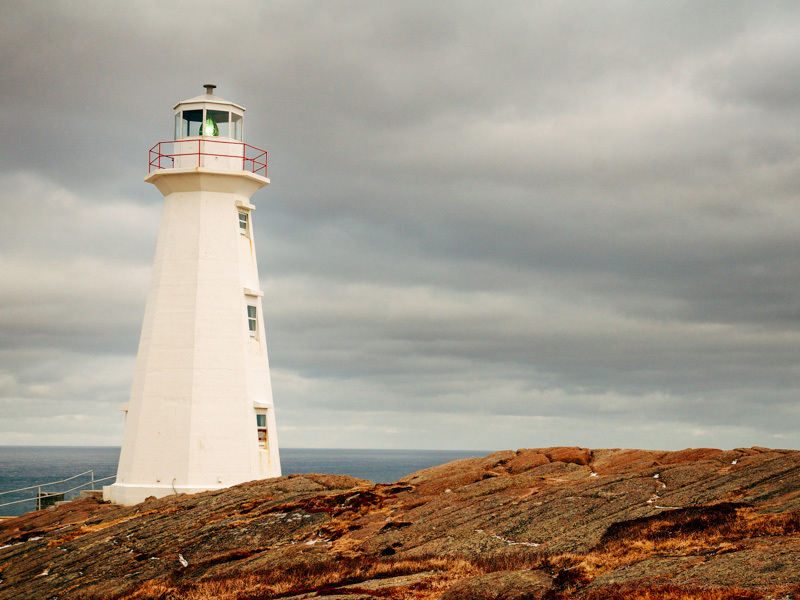 Read on as I take you on a tour of some of the best things to do in Newfoundland. We began our journey by flying into Halifax, Nova Scotia, driving through the highlands of Cape Breton and then catching an overnight ferry from Sydney to Newfoundland. Crossing the Atlantic was quite a stormy adventure; we experienced choppy waters, thick accents and a way of travelling not so common anymore…at least for us. We finally arrived in the dead of night, desperate for a hotel, and made our way through miles of thick fog, and warning signs for moose on the road, before we reached our first destination. 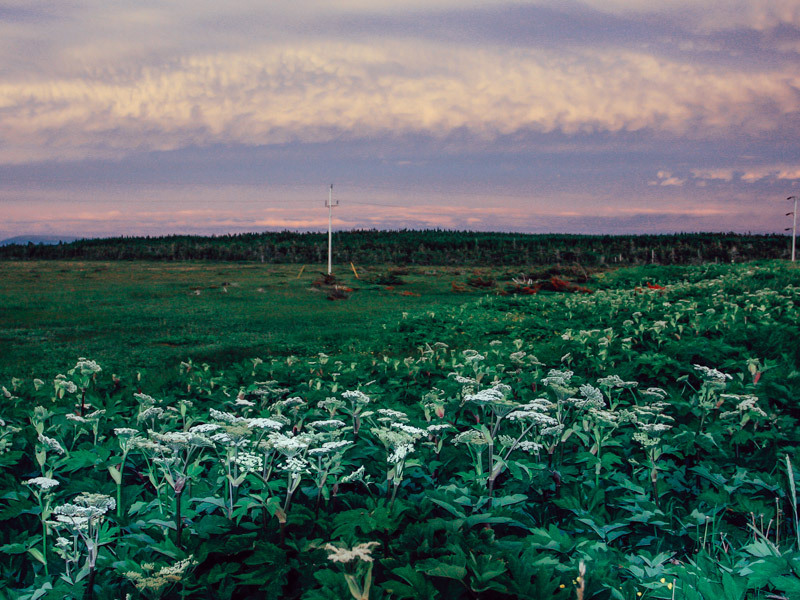 In our week-long road trip to Buchans, there wasn’t a dull moment: Music, friendly faces, craft fairs, homemade seal flipper pie, peering at glaciers in the bay as we drove by…we loved it all. L’Anse aux Meadows is an archaeological site on the tip of Newfoundland’s Great Northern Peninsula. It’s the first known site of European presence in the Americas; a camp still set up from a Norse expedition from Greenland. In other words, Vikings! It’s a fascinating place to visit. Being from the west coast of Canada, it was a part of Canadian heritage I didn’t know much about—a magical dreamland of thatched Norse longhouses built half inside the earth. Our tour guides, who were dressed like Vikings, put on a pageant about Erik the Red with music and dance outside in the grassy fields overlooking the ocean. It was a scene from another time. We visited Gros Morne Park, an absolute must for any traveller. This World Heritage Site is located on the west coast of Newfoundland and its beauty is beyond compare. It’s amazing to pick up a rock which is from the mantle of the earth’s crust – iron-heavy, with brilliantly oxidized surfaces. We camped in the park and hiked the windy bluffs; we kayaked down a river to crawl up into caves and run our fingers over ancient First Nations hieroglyphs. If at any point we’d come across a mythical creature or stumbled on ancient pirate wreckage, we wouldn’t have been surprised. At Gros Morne, one can visit a colourful coastal village, cruise a cliff-lined freshwater fjord, stroll across 500 million years of the earth’s past in an hour, and hike a rare, exposed piece of the earth’s mantle. Next, we got to the town of Mount Pearl, Avalon, just in time for their annual Christmas in July Parade. Apparently during the winter months it was way too cold to travel, so in July the whole town gets together to celebrate Christmas. They put on a full holiday parade with endless trucks along with a Santa Claus float; children got little presents and a photo with Santa. Then into the local church hall for a full turkey dinner with all the trimmings. We finally made it to Buchans for the reunion, where we had the honour of being Screeched In. This is the only way to become an honourary Newfoundlander, apart from dying and having the good fortune of being reincarnated as one. Screech is the original rum imported from the West Indies. It was historically shipped in unmarked bottles. First, we donned Sou’Wester hats (a classic fisherman’s rain hat). Next, we kissed a fresh cod on the lips (a slimy affair) and stomped our feet in a bucket of Atlantic sea water. Finally, we held our shots of Screech up high for all to see and yelled, “Long may your big jib draw” (meaning: may the wind always be in your fore sails) and downed them in one swallow. How exhilarating! Newfoundland is a fantastic place to visit for everyone, including teenagers, as it turned out. A great place to go for anyone travelling in Canada, it is rich in history and breathtaking in nature, but most amazing are the Newfoundlanders themselves. Their warmth and humour is beyond compare. It’s like having a colourful, comforting quilt thrown over you the minute you arrive. You are so welcomed, and you are home at last; Screeched In to the family. Curious about more places to explore in Canada? Check out 10 Fun Things to Do that Manitoba Does Better and Best Attractions in Ontario for Every Traveller. Rosemary travels whenever she gets the chance! Her list of must see places includes Greece, Ghana, Guatemala, and more locally, Newfoundland (just to name a few)! When she’s not planning her next adventure, you’ll find her lost in a good book, immersed in the ocean or surrounded by family and friends. She looks forward to introducing her little son to the wonderful world of travel. Is Your Credit Card Travel Insurance Coverage Enough?